How to spread awareness that the prejudgment against people who has AIDS is due to the lack of information and, at the same time how to bring information for those who are being infected with the virus, rising the number of infections in the last few years? 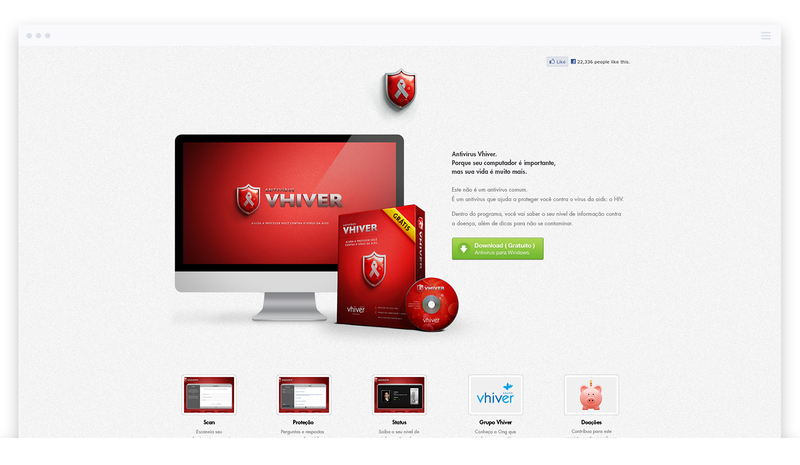 On December 1rst, the NGO Vhiver has released the first computer antivirus that also protects against the virus that really matters: HIV. Our goal in the research process intended to understand better the discrimination aganst those who have AIDS. The research was composed by: interviewing both people infected by the virusand thos not infected, attending the workshops and creating a survey. After analysing all the data, we clustered it in key problems and insights. The results showed that not infected people were afraid and refuses to interact with people who have AIDS due to the fact that don't have enough information about how to get infected by the virus. Even though people know the basics they still have a lot of doubts and they don’t dare to learn it just because it is easier to avoid the people who are contaminated. The app works as a computer antivirus. 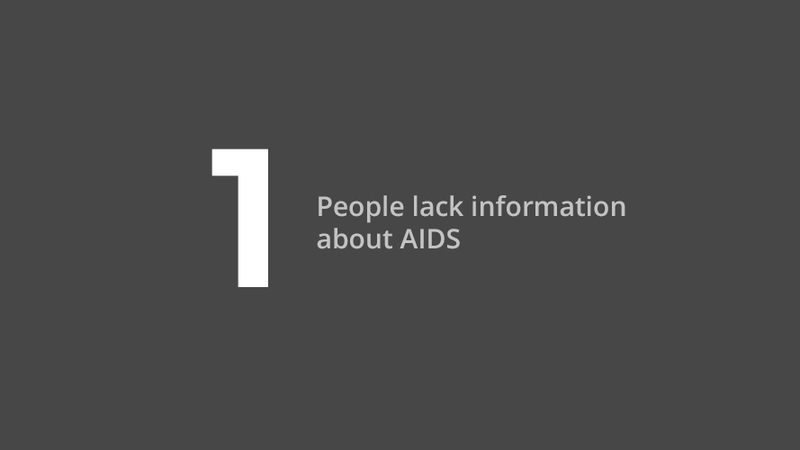 At first the user has to go through a scan that by using a set of questions defines your level of knowledge about AIDS. If the user is not 100% “protected”, the app forward they towards a content of information on how to protect themselves, solving doubts by using a guide of most common questions and answers regarding AIDS. In addition to all that, the status menu informs each user about the level of protection he has acquired and allows them to make a new scan whenever they feel it’s necessary. We have created a website to enable people to download the product and also to donate money for the NGO to keep it's product online and updated. 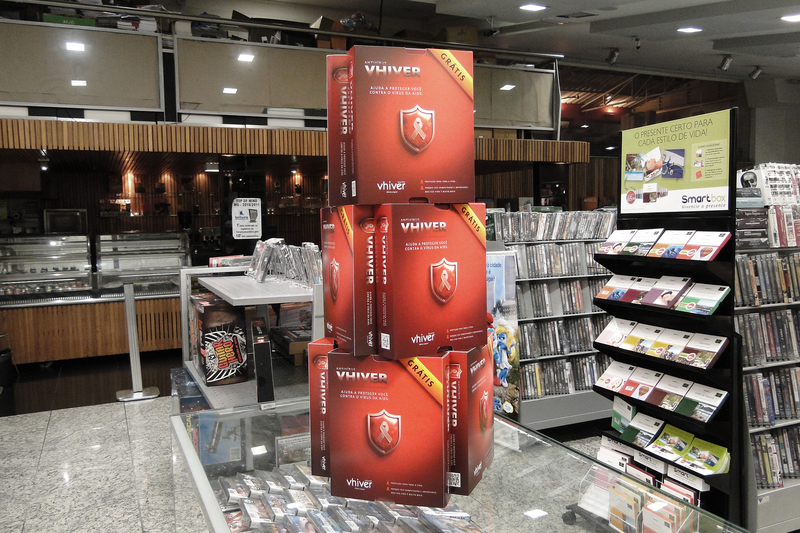 To raise awereness we created boxes for the antivirus similar to the tradicional antivirus for computers, and provided in many eletronic stores around the country we're people could take the product for free in the shelves.